Based on his visionary experiences, Emanuel Swedenborg tells us that every angel in heaven used to be a human being living on earth. The good people who cross into the afterlife go to heaven, and their lives are not so different from ours: they have homes and spouses, they live in communities with other angels, and they all have jobs to do, including looking after people on earth. Read more about angels. What if angels are always with us? “The kind of spirit that is associated with us is determined by the kind of person we are in respect to affection and love, though good spirits are assigned to us by the Lord while we ourselves summon the evil ones.” Read more. Do angels talk to us? “For people who talk with angels, heaven is actually united to our world and our world to heaven.” Read more. What if angels get married too? “Marriages in the world are for the most part outward marriages and not inner ones at the same time; and yet it is the inner union, the union of souls, that makes a real marriage.” Read more. What if angels exist to help others? “They asked the angel, ‘What is heavenly joy, then?’ and the angel answered simply, ‘It is the pleasure of doing something that benefits both yourselves and others.’” Read more. 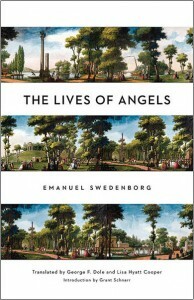 A collection of Swedenborg’s most compelling writings about angels—what heaven is like, how angels live and love, and how they keep watch over the people on earth. For people who have never read Swedenborg’s works before, this book serves as a vivid travelogue through the afterlife as Swedenborg witnessed it.